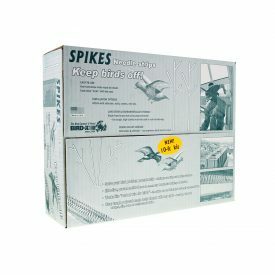 If you’re looking for a cost-effective solution to your bird problem, then bird spikes are an extremely simple, yet effective solution. These versatile products can be placed in a variety of locations, such as roofs, fences, gutters, ledges, or any other surfaces birds are landing on or roosting. 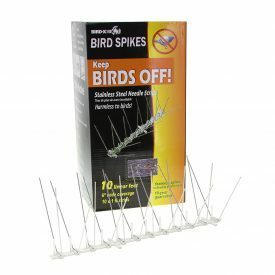 Putting these bird spikes around your home or commercial property will make it difficult and uncomfortable for birds to land; making it a non-harmful and super easy to set up method of keeping them away. Here at Bird Control Australia, we’re passionate about the environment and animals in general, which is why we’re always searching for the best environmentally-friendly and safe deterrents. By using methods such as these spikes, both you and the wildlife win! 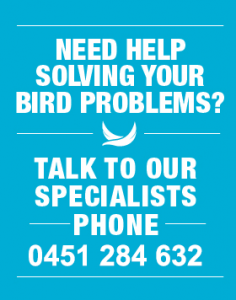 Whatever the scope of your bird control needs, we can cater for you here at Bird Control Australia. 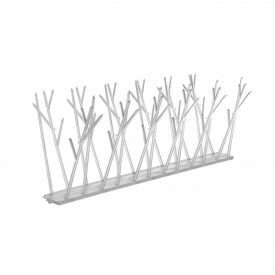 Whether you’re running a commercial enterprise and need a larger amount of spikes, or you’re just bird-proofing your home, you’ll be glad to know that we offer various different quantities to suit your specific requirements. From UV treated plastic polycarbonate to stainless steel, there are products to suit various applications. Polycarbonate is useful when steel would interfere with communication devices such as TV antennas. 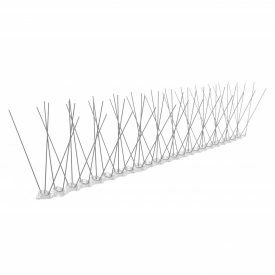 We only stock products of the highest quality here at Bird Control Australia, and you can rest easy knowing that these spikes will stand the test of time, and won’t decay or corrode. After you put them in place, you can just forget about them, without having to worry about maintenance, for the ultimate convenient solution. Take a look at the options below, and pick up an effective and ethical bird control solution today.